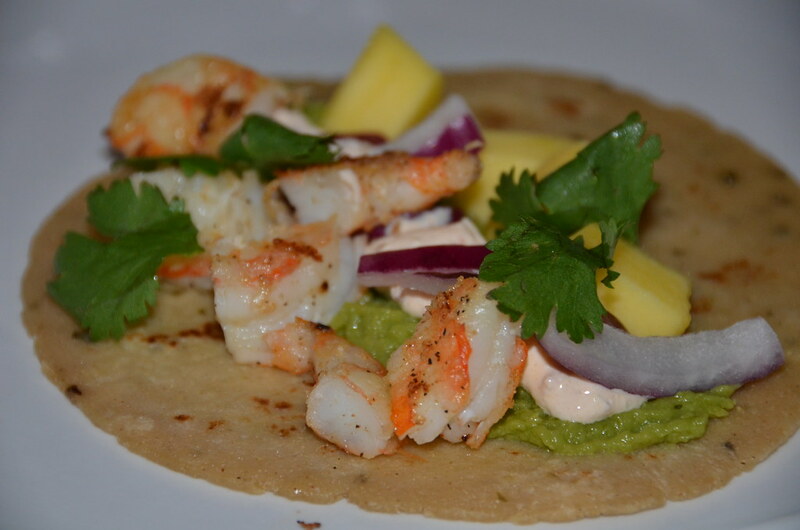 Shrimp Tacos with Chipotle Sour Cream, guacamole, cilantro, red onion, and mango. 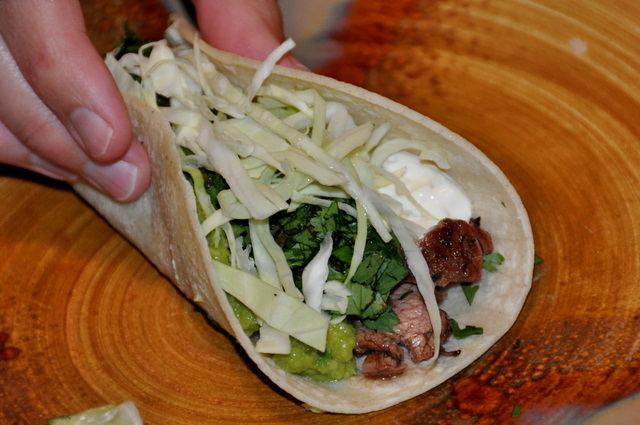 Flank Steak marinated in tequila, fresh lime juice, chili powder, and olive oil. 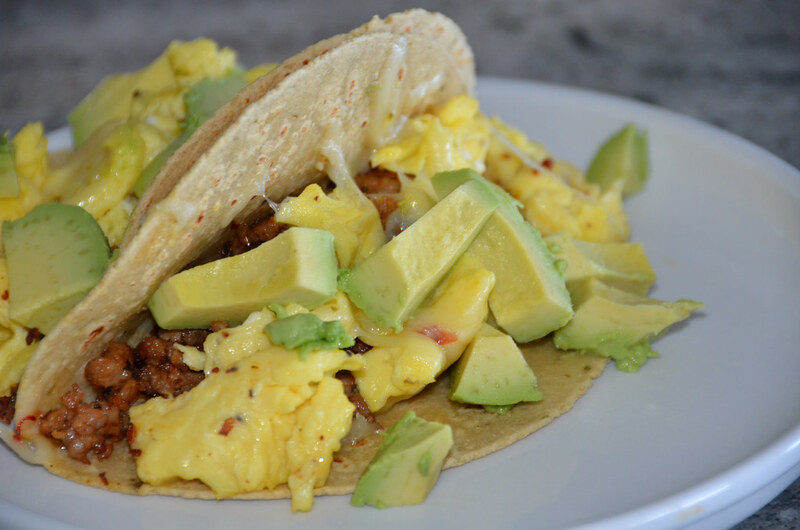 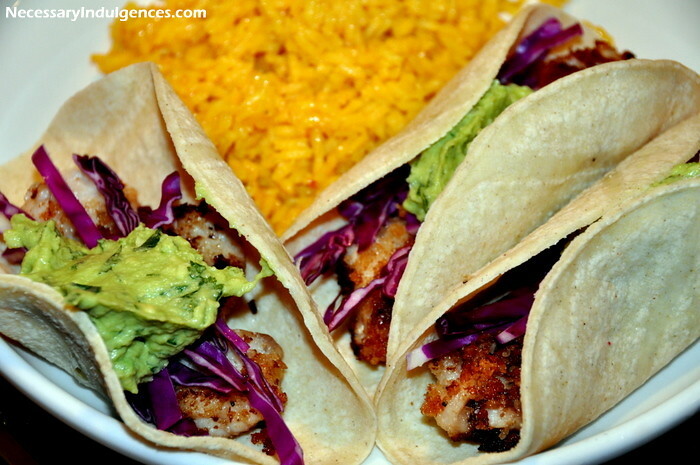 I think it was the Avocado Cream that made these fish tacos so good.